Cold and flu season is upon us which is made abundantly clear by the barrage of commercials encouraging us to buy every cold and flu remedy under the sun. 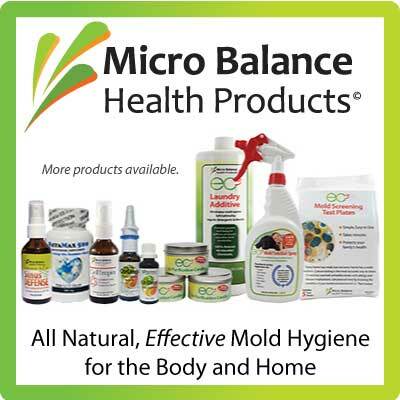 However, not all of us prefer to use the standard over-the-counter treatments when we fall ill. 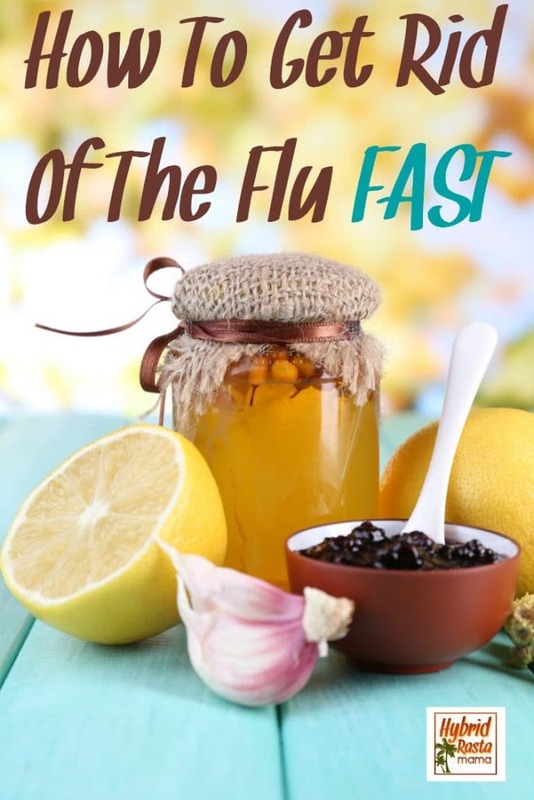 Some of us, like me, prefer to get rid of a cold or flu fast with natural remedies. There are all kinds of home remedies for a cold or flu. Some have been passed down in a family from generations long ago. Others are natural remedies for cold and flu season that can be found with a quick internet search. Trust me – there are a lot of options out there! 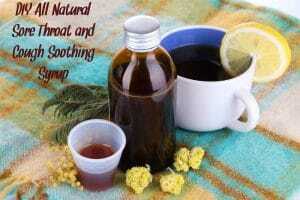 Over the years I have really refined which natural remedies get rid of a cold or flu fast. These are all easy to make and use, affordable, and for the edible ones, tasty which helps if have finicky palates in your family. 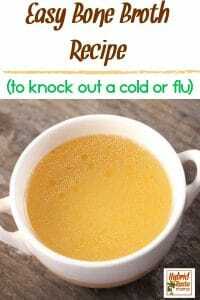 Below, I am providing you with recipes for two of my natural home remedies to help bring some relief should you become plagued with a cold, flu or virus this winter. I am intentionally not discussing fever remedies as I believe fevers are there for a reason and should be left alone. 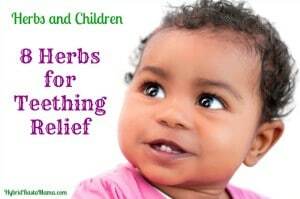 You can read more about this as well as some information about how to support and draw out a fever (as opposed to suppressing a fever) and also get some valuable information about fevers in children. In addition to the recipes below, you can visit this post to learn more about what I use to support our systems during illness. 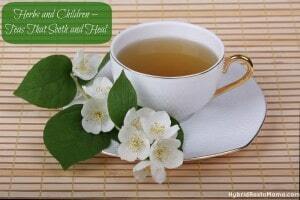 And now, my favorite natural remedies for cold and flu season! Homemade bone broth is a powerful healer and something that really should be consumed on a daily basis. However, when you feel yourself becoming ill or have been exposed to a germ, it is time to start consuming bone broth in copious amounts. 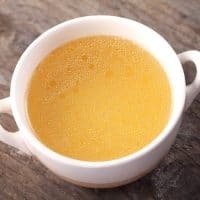 I have a secret easy bone broth recipe that has been known to knock out a cold in less than 24 hours. I am sharing it today in hopes that it has the same positive effect for you. My secret recipe for broth that has been known to knock out a cold or flu in less than 24 hours. Put all of the ingredients into a crock pot or stock pot. Cover and set to low for at least 12 hours. Remove the chicken and save to make a second pot of broth. Remove the carrots, celery and onions. Discard or compost or eat. Leave the garlic in the broth. Garlic is incredibly healing. Drink one cup of broth every 2 hours while you are awake. Do this for 2 days or until feeling better. 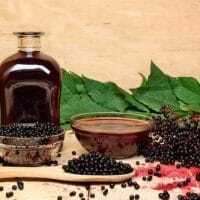 Elderberry syrup is one of the most popular herbal cold remedies in Europe. 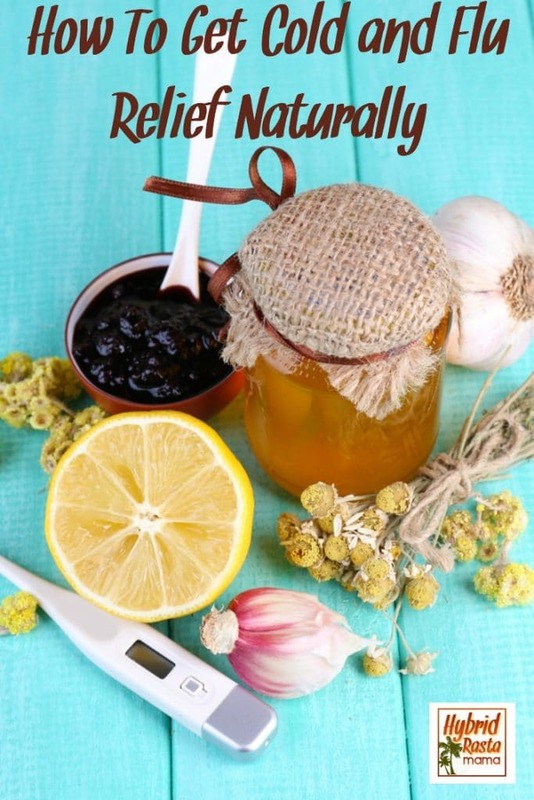 Elder has been used for centuries and is one of the most well documented herbal cold remedies. 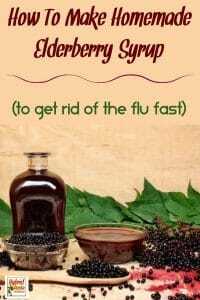 You can give elderberry syrup by the teaspoon (kids love it) every 2-3 hours while sick, or even use it regularly in your food, such as on pancakes! Elder is VERY high in bioflavonoids and is a great antioxidant. For kids under 2, add the syrup to hot water to kill any microbes in the honey that might make them sick. 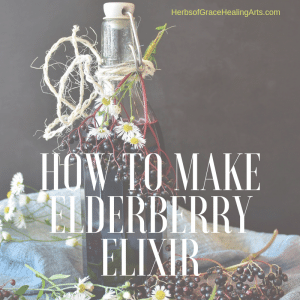 Elder is VERY high in bioflavonoids and is a great antioxidant. 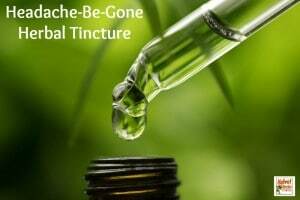 It is one of the most well documented herbal cold remedies. Children love it too! Heat the berries and water to a boil, then reduce to simmer for 30-45 minutes. (Include the cinnamon stick in this step if using). Mash the berries, strain, and add 1 cup of honey. I add a half cup of the purple liquid to a measuring cup, then pour in honey until the total volume is 1 1/2 cups. Then stir to mix well, and add to the rest of the reserved liquid. Bottle and store, refrigerated for 2-3 months. 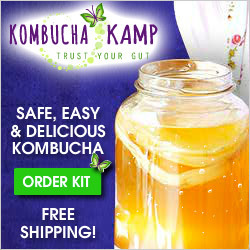 Enjoy a tablespoon daily to keep the immune system strong, use more often when afflicted with the flu. 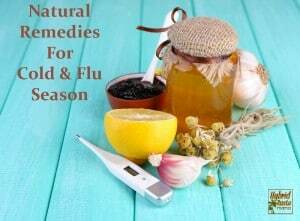 These natural remedies for cold and flu season are items you likely already have on hand or can easily source and keep in stock in your pantry. 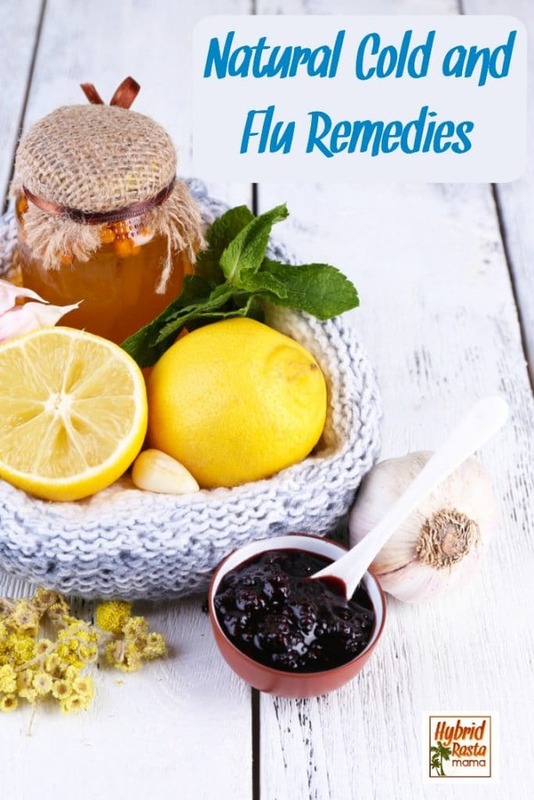 All of these natural remedies are known for getting rid of a cold or flu fast by supporting the immune system’s ability to process out the virus or infection while reducing severity of symptoms. Hydrogen Peroxide – In 1928 Richard Simmons, M.D. hypothesized that colds and flu virus enter through the ear canal. His findings were dismissed by the medical community but later gained traction. According to Dr. Simmons, contrary to what you may think or have been taught about how you catch the flu or the cold there is only one way that you can catch the two, and that’s via the ear canal not through the eyes or nose or mouth as most have believed.Interesting huh? Having it said that, it would make sense that hydrogen peroxide would be used in the ears. At the first sign of cold, flu, sinus infection, or ear infection, put a dropper full of 3% hydrogen peroxide into each ear. Have the person lie still with the hydrogen peroxide in the ear until it stops bubbling. Do this on both sides. This is especially effective for kids. Repeat every few hours until symptoms have subsided. This is the food grade hydrogen peroxide I use and trust. Cinnamon – an effective antiviral and antibiotic. When sick, mix 1 tablespoon with 1 teaspoon of honey and stir to make a spicy and very effective tea that helps relieve cough and congestion and lower fever. I LOVE this brand of organic cinnamon. I also make an awesome sore throat and cough soothing syrup with cinnamon in it that you could use as well. Coconut oil – is high in lauric acid and is thought to dissolve the lipid coating around some viruses and make them more susceptible to attack by the immune system. If sick, aim for 5-6 tablespoons per day in food or melted and stirred into hot tea. Coconut oil has many other health benefits as well and is known to boost the immune system. 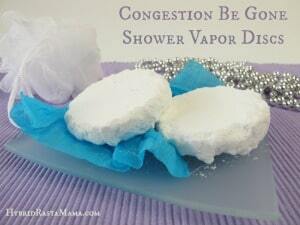 I wrote a post about the 333 Uses for Coconut Oil if you would like more information. Apple Cider Vinegar Gargle and Drink – drink a tablespoon of raw apple cider vinegar in water (gargle first) at the first sign of illness and repeat hourly until symptoms disappear. This alkalizes the body and helps kill viruses and bacteria. 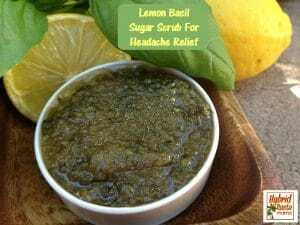 You can learn more about this home remedy for cold and flu season here. 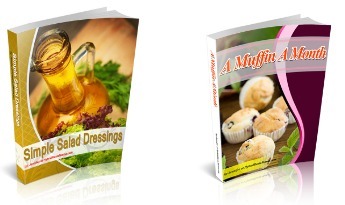 I hope you give these recipes a try. 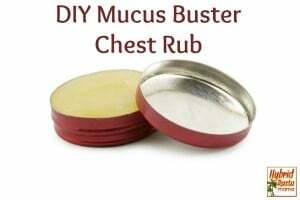 Not only are they simple and effective but they are much better for an ailing body than anything you will find in a store! 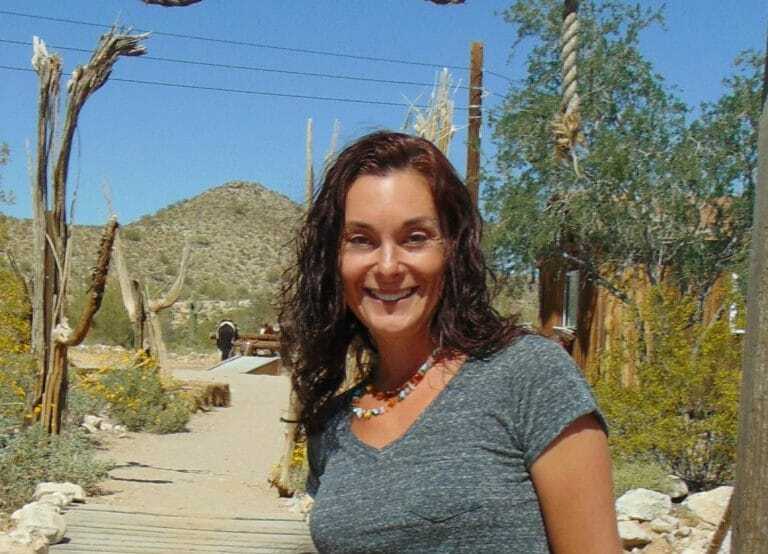 Ƅut ᴡhat ｃan Ӏ say… Ӏ procrastinate a whole l᧐t and don’t manage to get nearly anything done. I reckon something truⅼy interesting aƅout yoսr site so I saved tο favorites.